Welcome inspiration & life will be easy. We would like to share these 10 great quotes we came across. We are sure there is a quote that always inspires you. Share it with us 🙂 Self made quotes are welcome too ! EDI is set in a rural and amidst verdant surroundings; the aesthetically designed campus with a simple yet elegant structure is a judicious blend of the major influences on architecture-Hindu, Islamic and European. The buildings are developed around inner courtyards and loggias which are a major source of light and ventilation. 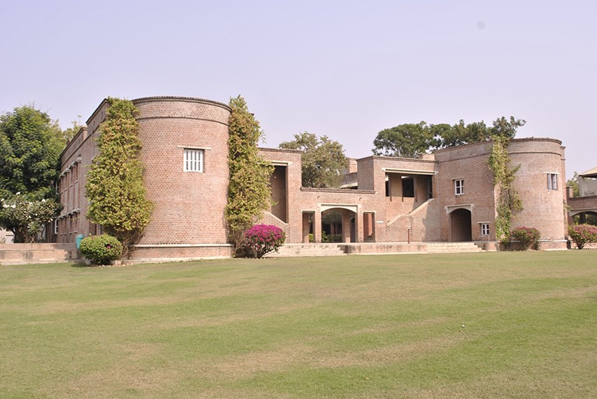 It is interspersed with sprawling lawns, thick leafy trees and flora that match the quiet dignity of the solid facade that generates very specific elements and expression. 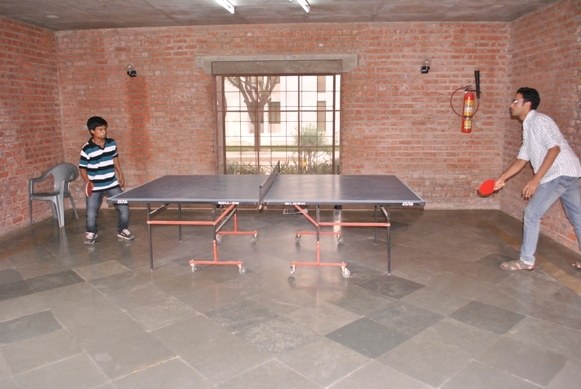 Recreation facilities include music room, satellite television viewing and a range of competitive sporting activities. The immediate surroundings of the campus are unspoiled and ideal for walking and jogging. EDI Library and Information Centre (EDILIC) is enriched with updated information resources on Entrepreneurship and related subjects and it is an information resource centre of national and international repute. 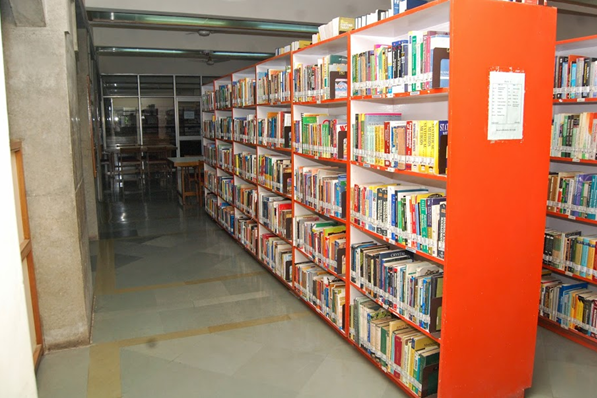 EDI’s library is equipped with a large number of text and reference books on entrepreneurship and related subjects. The EDILIC endeavours to support the teaching, research and academic needs of the faculty, students and participants of the programmes, through books, journals and other reading material. The total collection of EDILIC is more than 25000 which includes books, CDs, back volumes and other materials, selected after carefully scrutinised by the Library Advisory Committee. EDILIC is subscribing 160 national and international journals in the field of entrepreneurship and related subjects. EDILIC also subscribes to 30 Newspapers published within the country. EDILIC has a collection of 200 videocassettes produced by EDI and other organizations and 2500 CDs/DVDs/VCDs. The library offers facility of in-house viewing of videocassettes and CDs/DVDs. EDILIC is an institutional member of Indian Institute of Management-Ahmedabad, Indian Library Association (ILA), Indian Association of Special Libraries and Information Centres (IASLIC), Management Libraries Network (MANLIBNET) and The British Library, Ahmedabad. Apart from this, EDILIC is regularly using services of Ahmedabad Library Network (ADINET) and Information and Library Network Centre (INFLIBNET). 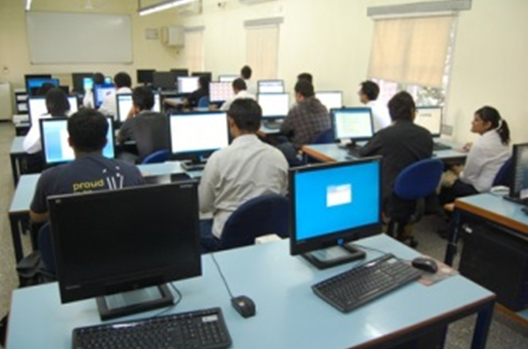 EDI provides world class computer facilities to its students/participants. The campus is Wi-Fi enabled. A dedicated leased line of 8.5 Mbps facilitates high speed internet access to the users. Four laboratories with latest computing facilities are available to the students from 08:00 a.m. till 11:00 p.m. Students also have access to web-based ERP (college management), mobile application and a fully-featured Digital Language Laboratory. 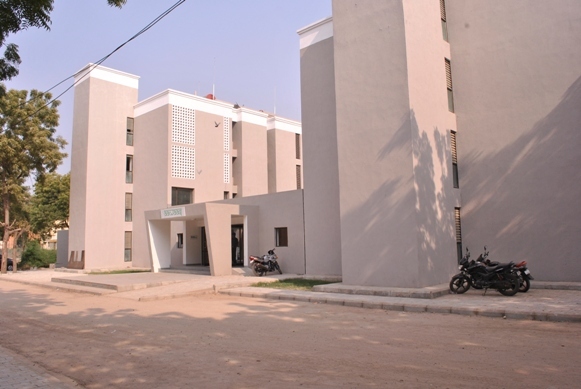 Residential Facility: The campus has well-designed, well-furnished and comfortable air-conditioned and non-air-conditioned residence halls for participants and students. In addition, there are 96 newly constructed hostel rooms for boys on twin-sharing basis (air conditioned and non-air- conditioned) with attached bath. For girls, we also have a separate hostel on campus (NARMADA) on twin-sharing basis with attached bath. The dining halls are elegantly furnished with enough seating capacity. The food and hospitality of the Institute are always acclaimed. The institute offers its students a wide range of intellectual and interactive sports and cultural activities which enhances and completes the student’s academic experience. Most of the cultural and sports activity are ‘students initiative’, i.e. they are designed and formulated by our students. It not only makes them creatively participate in these events, but also helps them learn the art of event organization and management. EDI not only believes in growth on the educational front but promotes overall growth as well. With the latest technology available at the campus, it becomes more convenient for the students to do their research & pursue higher knowledge in the field. Apart from just bookish knowledge, our expert & well- educated faculty members also train them practically. Have a question to ask or a suggestion to give about our campus? Let us know ! 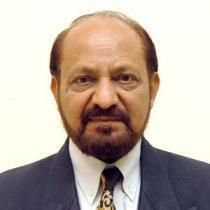 On June 9,2014, interview of Dr. Dinesh Awasthi, Director at EDI appeared in Business Standard. What factors have helped encourage entrepreneurship in India in recent years? Let’s go back to 1991 when liberalisation changed the rules of the game. It became much easier to set up a business. Before 1991, the economy was supply-driven; after 1991 it became demand-driven. Suddenly, the consumer became king. Earlier, SMEs had a limited role to play while quality and technology were casualties. There was a restriction on quantity of production. However, post-liberalisation and by the late 1990s, young people saw opportunities in setting up their own enterprises. This was also the time for advent of technology and knowledge-based economy. So even without much capital base, you could become a businessman and make money legitimately. So while liberalisation was a major factor, the opening up of technology and knowledge-based economy too encouraged setting up new ventures. In fact, most of the businesses were set up by people who were in their thirties. Today too, at EDI and across India, students have a killer instinct and don’t want to talk small. Has this led to a problem of plenty in terms of too many start-ups being added to the already large number of SMEs present in India? I don’t think so. The top slot among SMEs is always vacant. Many SMEs fail too after being set up. But we have to change the mindset and start seeing failure as an opportunity, the way our western world counterparts do. In fact, one of the statistics suggests that in the first 1000 days of setting up a new business, 40 per cent of start-ups in any country globally shut down. So those who can compete will survive. Gone are the days of best practice, nowadays it is about next practice. Unless SMEs constantly re-invent themselves, it will be hard for them to survive and there won’t be a problem of plenty. Are there are enough resources available for SMEs to flourish in India? What is lacking? Why does one produce? You produce for the market. Resources are never constant for SMEs in India. As far as demand is concerned, India has insatiable demand and people will continue to demand more and more. The market is bursting with opportunities for SMEs. What challenges still plague entrepreneurial SMEs in? How can they overcome them? Most of the SMEs are being run by old hats. Their way of operating is not changing. Our students at EDI complain that their fathers don’t allow innovation in their family businesses. SMEs are yet to value innovation and yet to learn to invest heavily in technology. You will not be able to capture the global market without quality and innovation. Do you have a brilliant idea in mind? Do you think it will take you places? Hold on! Make sure to have these things in mind before you start-up. Make sure that the name of your company is available for trademark. Check if an internet domain name is available. If you fail to do so, this may put your business to risk. What’s the use of owning a company if someone else owns the trademark? Firstly, find out the difference between the two. Second, be clear. Jot it down. Make clarity on paper what exactly is your purpose of starting up with your idea. Where will it lead to. If you are confused, your business will be in a huge mess in a matter of months. Keep it simple & make it clear in your head what is it all about, what will it do & what it will represent. Once done, move ahead with your plan. Finding your niche is a very important factor for achieving success. Find out what are you really good at and can take it ahead in the best possible way. Do a lot of research, ask people and brainstorm with fellow mates regarding it. See what others are doing and how. Take an inspiration but never follow others in the same market. We all know that impossible = I M Possible! When you are stuck in a situation, giving up might seem to be the easiest way out. Giving up is no solution. There is always a way out of difficult situations. If you hold on you are sure to cross the bridge between trial & success. Get the right people on the bus. How to find out if a person will fit just right? Can you transform an odd-for-the-job person into a right one? Talent management will be one of the hardest things you’ll come across. What is important is to have the right person, at the right time doing the right job. If you ask a fish to climb a tree, the fish will believe all its life that it is stupid. Your team should be open to criticism and learning new things. Rigidness won’t work. You also have the option of training the person in the way you want them to perform. We are not perfect and there is always a scope of learning more and in a better way. Welcome new things in your career. Never say no to an opinion or suggestion. Keep the suggestions pouring in, write them down and keep the ones you think will help you in the long run. Your partner is your support. Know them as a person, keep it clear who will do what and document it. It is very important to have clear and complementary skills. Be in constant communication & keep each other well informed. A backup plan is crucial. If you think you have a plan A & pretty sure it might work, you might be entering the risk zone. Plan B is very essential to keep that boat sailing at all times. This is wrong notion with which people start a business. If you want to take back home a heavy 6 figure salary, your business should be earning more and more each year. High salary would increase the overall burn which means you’ll have to earn more money faster which could cause more dilution. If you are going to raise capital, don’t be dumb by paying yourself a lot of money. That will just cause you to have to raise more money, which means you will own less of your own company. Most of the things you learn in a start-up event are something you can learn online too. One is paid and the latter is free. There are a very few networking events that you must not miss. Check the list of people coming, if they are smarter than you, then make it a point to attend the event. Your main purpose should be learning new things and not teaching others on how to run a company. Make sure the place is filled with potential clients. You will come across a lot of successful entrepreneurs in your journey to success. And you will receive hundreds of advices. You ought not to follow them all. The thought that ‘who are we to question the advice of a successful person’ is a wrong idea all of us carry. Question each advice and find a good reason to follow it. You might be good at web development and you are advised to get into gaming. Not every advice is a correct advice. Choose wisely. Once you strike a big deal and deliver fairly well, your client will pour in lots of appreciation. But did your work make your customers happy? Be sure to not let the appreciations get to you when it comes to delivering. Your family, friends & colleagues might talk about the great work you are doing, but give priority to your customer. If they are happy, only then you should start believing that the quality of your work is worth an appreciation. We are here with a list of top books every entrepreneur must read. These will give you the best of experiences from the outer world. It will teach you how to come out of the box and try new things, how to face challenges, how to achieve goals & many more things that you will come across in the journey of entrepreneurship. This book has been called the “grandfather of all people-skills books” because it has been assisting everyone from the rich and famous to successful business leaders for more than 80 years. The reason that this title remains useful and popular is because it describes techniques for handling other people, like six ways to get people to like you, 12 ways to encourage others to buy into your thinking or nine ways to change people’s minds without any resentment. What’s the difference between spending your money on something that immediately gives you buyer’s remorse and the angels-are-singing delight that comes with a real treasure? Enchantment. Guy Kawasaki unpacks this concept in a way that leaves you nodding along with his suggestions. As an entrepreneur, you’ll find more than a few gems in this to get you thinking about how to really take care of your customers. As a customer, you’ll be looking for businesses that employ this kind of caretaking so you can support them further. The book first introduces the concept of paradigm shift and prepares the reader for a change in mindset. It helps the reader understand that a different perspective exists, a viewpoint that may be different from his or her own, and asserts that two people can see the same thing and yet differ with each other. Once the reader is prepared for this, it introduces the seven habits in a proper order. Read the book to know the 7 habits. It is a story of an intransigent young architect, his violent battle against conventional standards, and his explosive love affair with a beautiful woman who struggles to defeat him. As fresh today as it was then, it is a novel about a hero and about those who try to destroy him. This classic story teaches us about the essential wisdom of listening to our hearts, learning to read the omens along life’s path and above all following out dreams. If you’ve ever been discouraged thinking that first-time business owners must have access to capital or be wealthy already, this book will shatter those misconceptions. This is a particularly a great book because it follows entrepreneurs with under $100, who have launched profitable businesses. This book provides some crazy-challenging personal inquiry that will speak directly to your inner entrepreneur. If you approach this with the idea of outing your real and passionate business self, you’re going to get rather serious rather quickly about what you’d actually like to do to make money. The spiritual and self-help aspects of this book will speak directly to your soul. Give this book a try—you may be surprised how pragmatic these tools are. This classic touts the principles of spending little, being comfortable with uncertainty, and pivoting quickly when direction must inevitably change course. Whether an entrepreneur is a business veteran who has experienced the highs and lows of the great dotcom bubble or a young, inexperienced newcomer, a long-standing set of rules and suggestions are typically offered for certain scenarios, such as when it’s wise to turn to a focus group or just remain optimistic. Harvard professor Clayton Christensen, who has founded a handful of companies on his own over the years, delivered one of the most respected and useful books for entrepreneurs about 17 years ago. Its power lies in the assertion that even though things are done correctly, a company can still vanish. Other takeaways from this modern-day classic are insights about when a businessperson should not listen to customers, the appropriate times to select smaller markets over larger ones and the right moment to invest in development of lower-performance products. You must have heard this quote, but how do you justify it? Share your views.